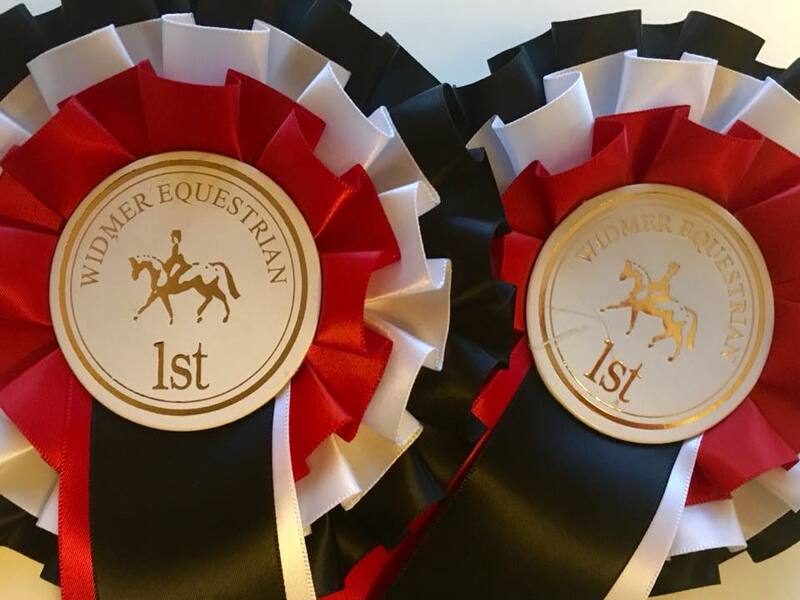 June kicked off with another Summer Qualifier competition and our first time to Mount Ballan and my first time competing in Wales. 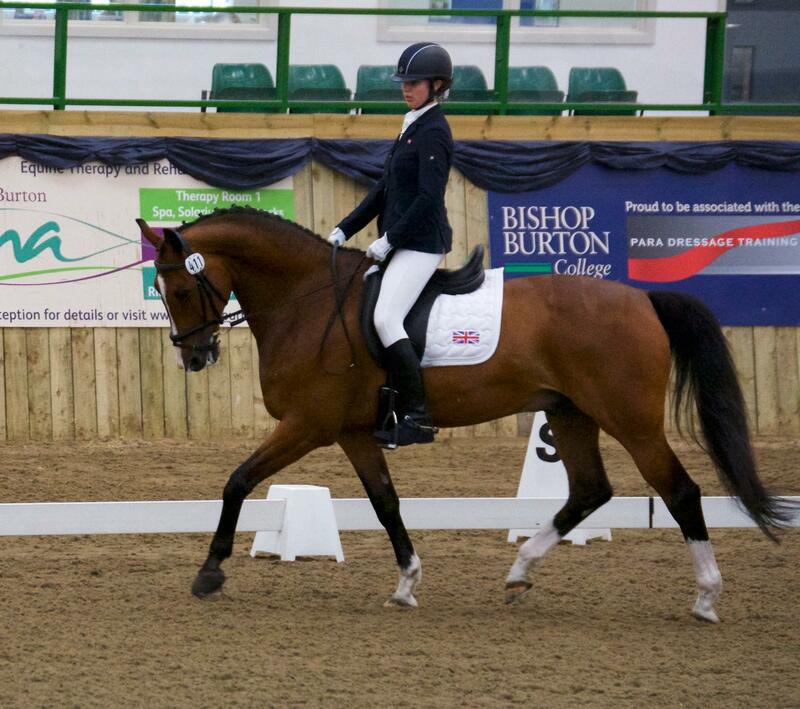 It was also my first time of competing away on my own with Sacha but without Mum or Dad being around. Aslan travelled well, and given it was a bit of a longer journey than he is used to on the day of competition he was great – he is a pretty good traveller and good loading onto the lorry too. He is pretty chilled out about the whole traveling experience, apart from not being a big fan of hanging around in car parks after unloading if he dosen’t know there he is! We managed to ride two solid tests in some pretty spooky conditions with flowers in the arena, the cars going by and banners flapping away. 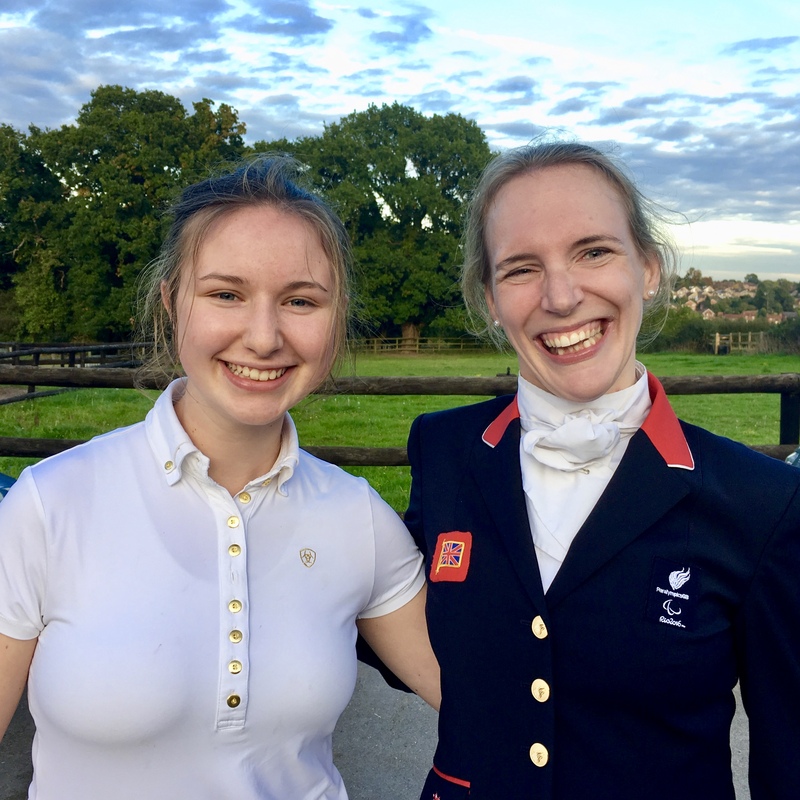 We got two respectable scores of 66.03% in the Novice and 65.25% in the Team, which I was really happy with as it was our first time at this venue and considering the wet weather conditions and the setting, I could not have asked much more from Aslan. 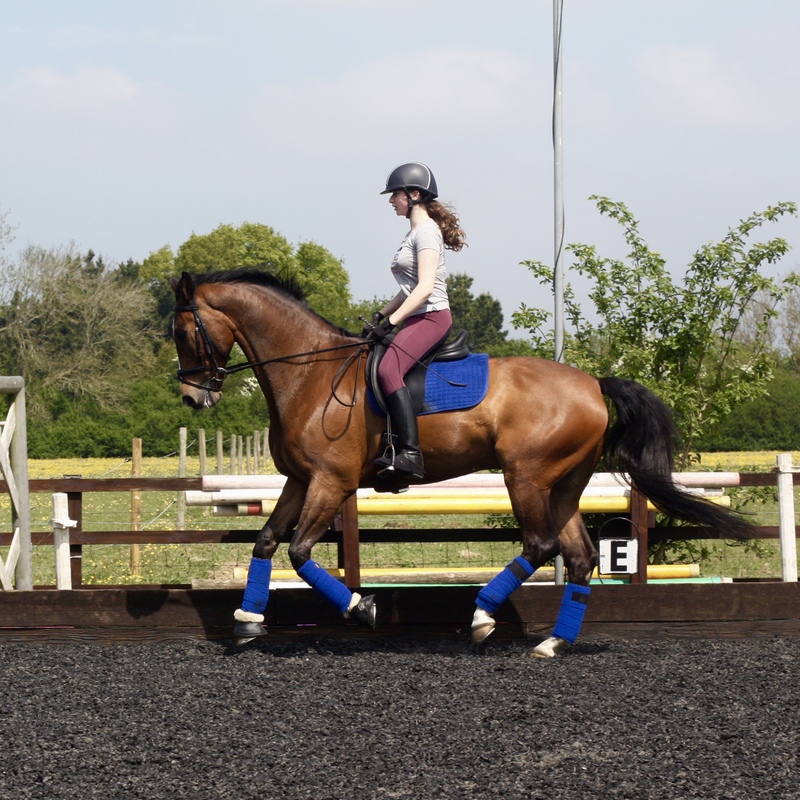 I was also really pleased to add Equilibrium Products to my supporters and Sponsors page this month. I have used their symmetry straps for the last few years since I have been riding horses like Aslan with bigger paces. The straps attach between girth and stirrup or leathers and are intended to improve rider symmetry. I use them as a para compensation aid, as they really help me stabilise my my weaker right side. My old straps were pretty much worn out and Equilibrium were kind enough to provide some replacements and spares. 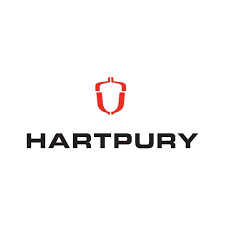 I also found out that they are very local to where we are based in Buckinghamshire so that was pretty handy as I was able to drop in to pick them up and say thank you in person. If you look carefully you can seen the straps in action in the image below. Mid month we were off back to Windmill Farm for another Summer Qualifier. 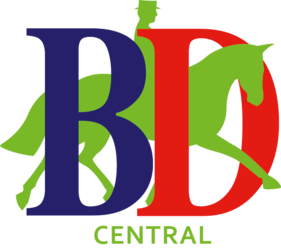 It’s a very handy competition venue for us as it’s only ten minutes or so from where we are based with Sacha Hamilton Equestrian. It was a very very hot at 30 degrees plus, so jackets off for the riders. 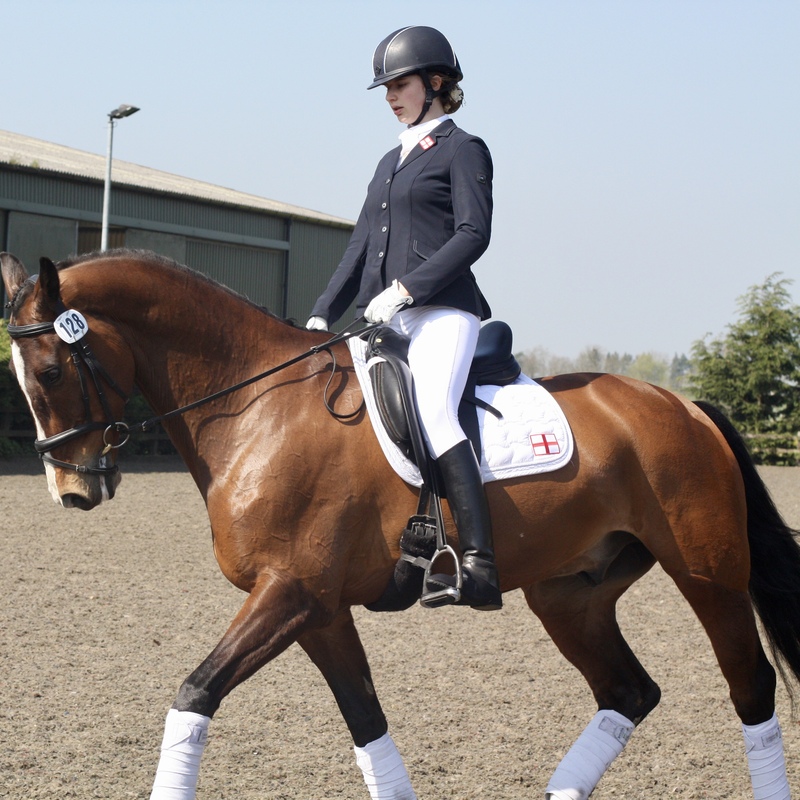 We had a very a decent warm up in the scorching heat and gained 66.03% in the Novice. 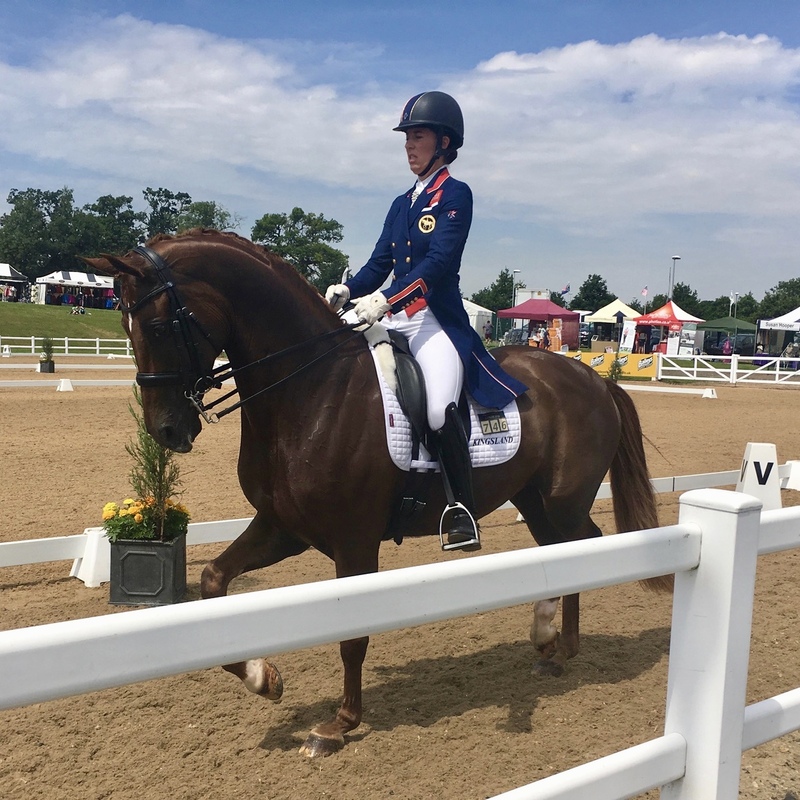 There was a break between tests, but after getting warmed up again for the second test I think we we were both flagging a bit by the time we rode the Team which we gained 64.87% for. Not quite the scores I was aiming for, but our first experience of riding in pretty extreme temperatures together and definitely lessons learned by me regarding hydration which will be beneficial next time around. 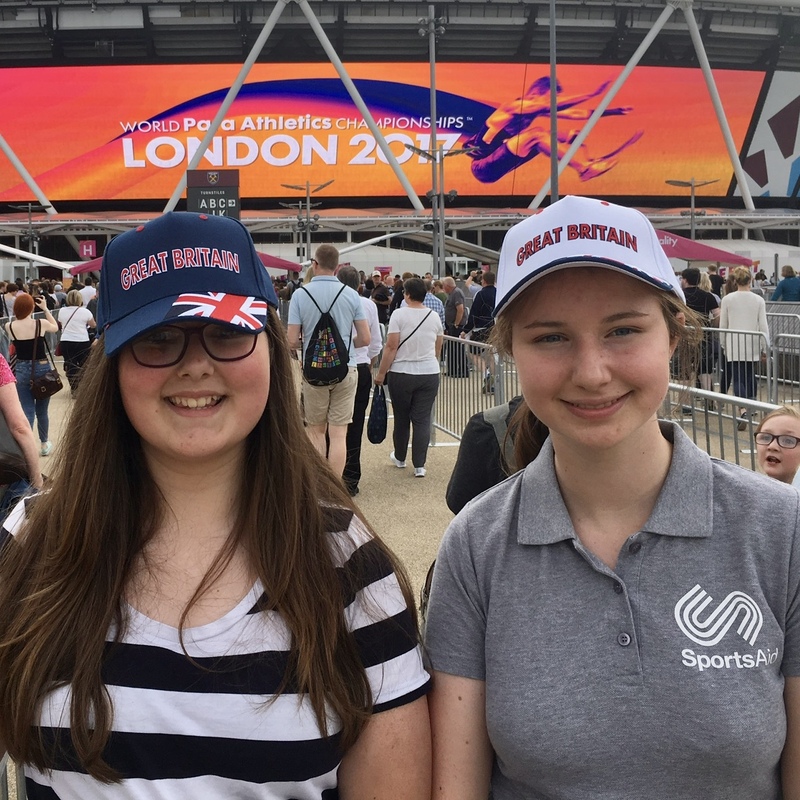 I was also really happy to be able to send a message of support to members of my SportsAid sponsors cycling team from the Royal Bank of Canada who are taking on the RideLondon challenge in support of the SportsAid charity who support athletes like me. 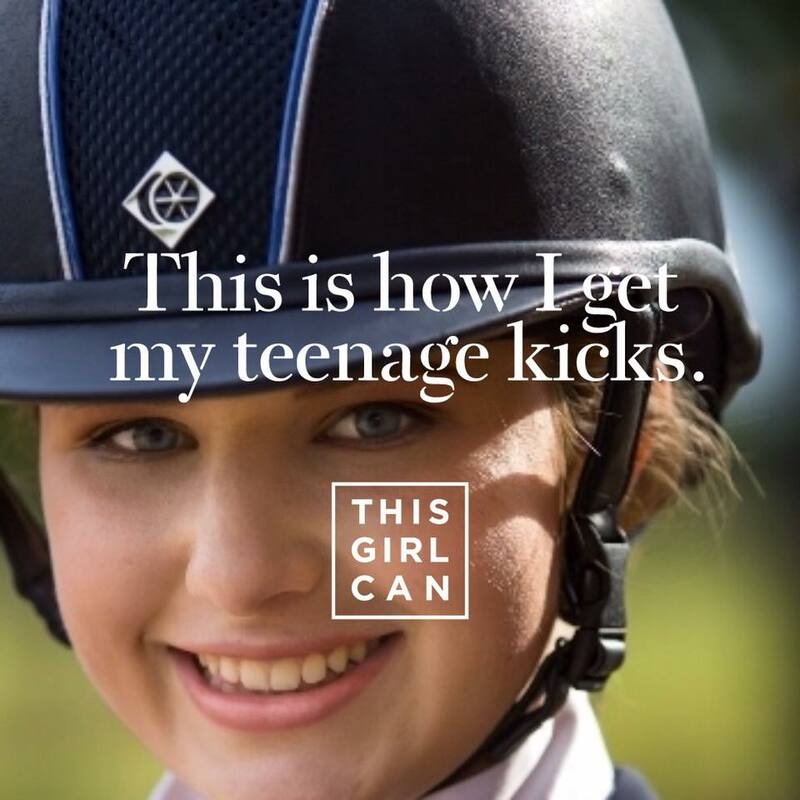 This year, I am one of fifty athletes supported by SportsAid sponsorship provided by the Royal Bank of Canada across 31 olympic and paralympic disciplines. 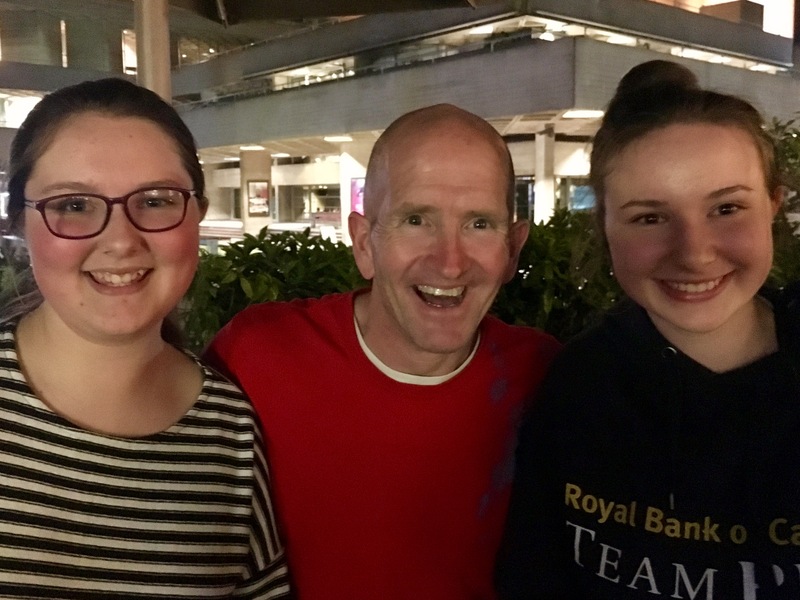 I won’t be able to cheer on the riders in August as I will be on holiday, but I am going to join them next month at a reception at the bank to wish them well ahead of the bank, and I’ll share more on that in next months blog. 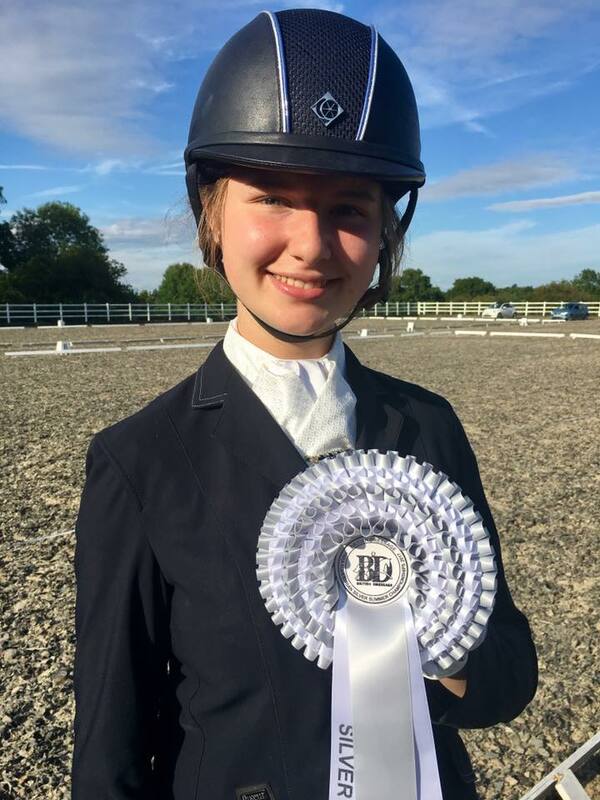 That’s it for June and I am now looking forward to July which I hope will be a big month, I am waiting for confirmation in the next few days that I have been selected to ride my first proper International competition Bishop Burton and if so will be preparing for my first freestyle to music. I have the qualifying scores so everything should be fine, but it still makes for a jittery end to the month until I know for sure. More on that next month, I hope you have enjoyed reading this month’s blog. 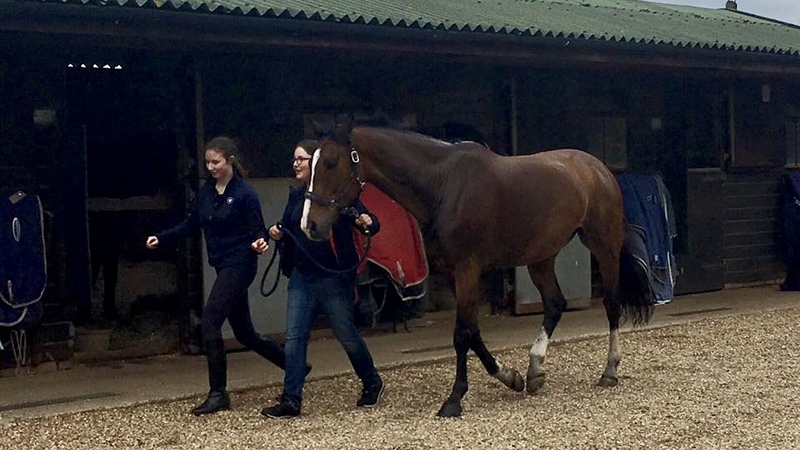 March was a pretty big month which started with a bang as we were straight into it with my final squad training session of the BEF Excel 2015 cohort at Vale View Equestrian Centre. 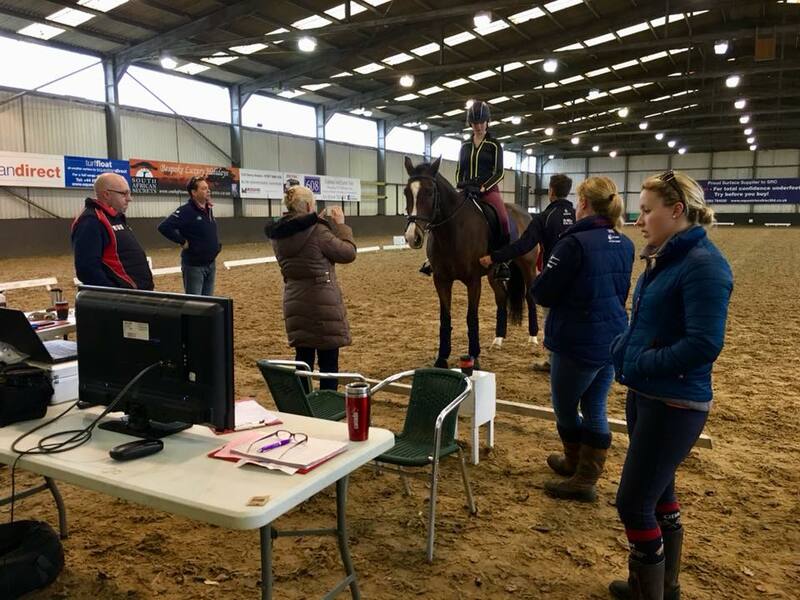 I had the opportunity of both a test ride and training sessions with Maria Eilberg and Angela Weiss in Vale View, under the watchful eye of the programme director David Hamer. 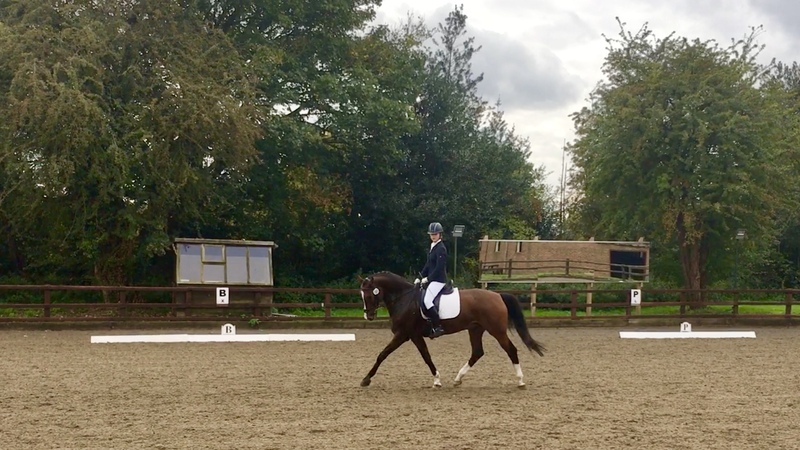 This was my first opportunity to get some feedback on the the 2017 Novice A test and at 69% I was pretty happy with how it went, we then spent the training sessions focusing on improving bits of the test, particularly exercises to improve our medium trot. I also had final debriefs with my sports psychologist, physiotherapist and programme director David Hamer. I had some really positive feedback from David which I was really pleased about. I can’t believe I have completed the programme already. Its gone really quickly and been such fantastic experience, and so much has happened. 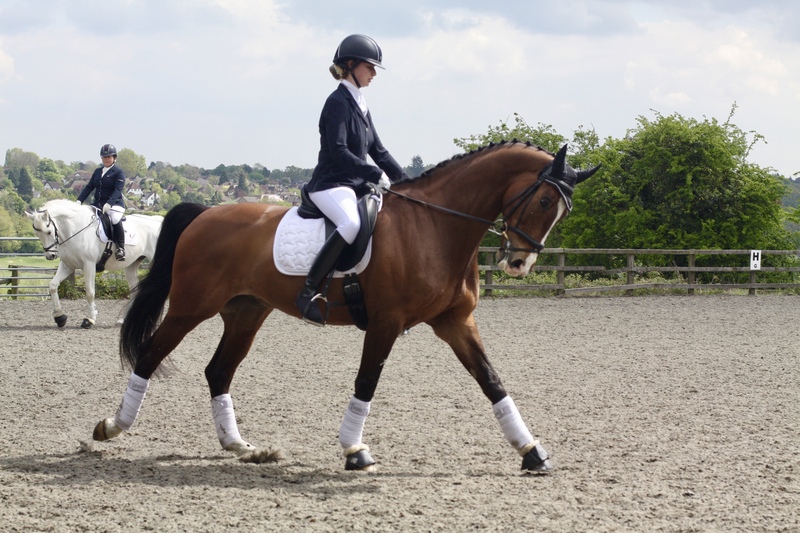 I started the programme in 2015 without a ride and finished it on my own horse and having qualified for the Winter Nationals, so its been a bit of a journey. I’ve still got plenty to learn but I have gained so much knowledge and experience from the programme, and I am truly grateful for the opportunity. 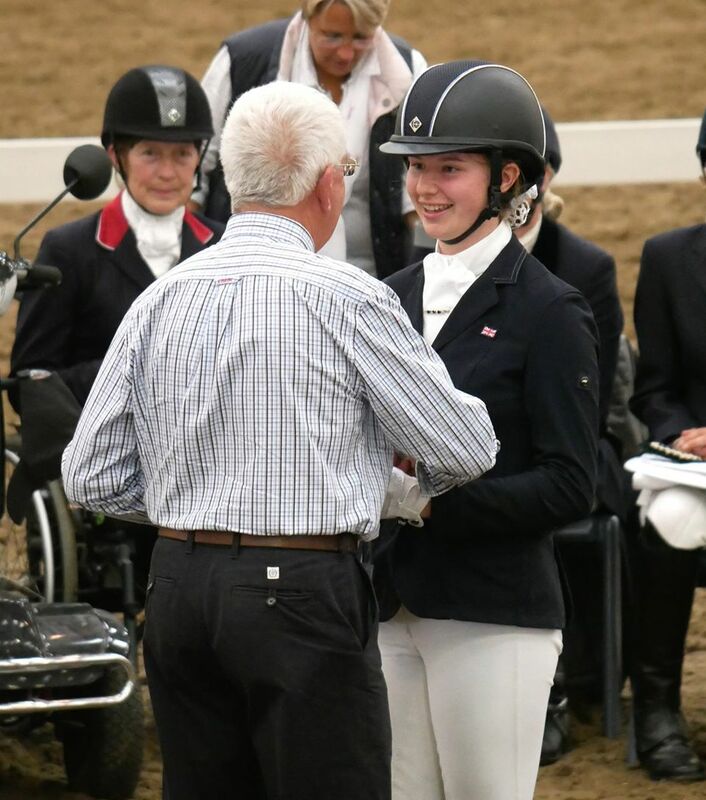 I have learned alongside some fantastic riders, including Amanda Shirtcliff, Anna Mae Cole, Suzanna Hext and Charlotte Cundall who all moved up to the World Class Programme from Excel last year, and I am determined to follow their path. I will be reapplying for the 2017 programme this year, so watch out for this later in the autumn. it was a really fun session as well as being beneficial. 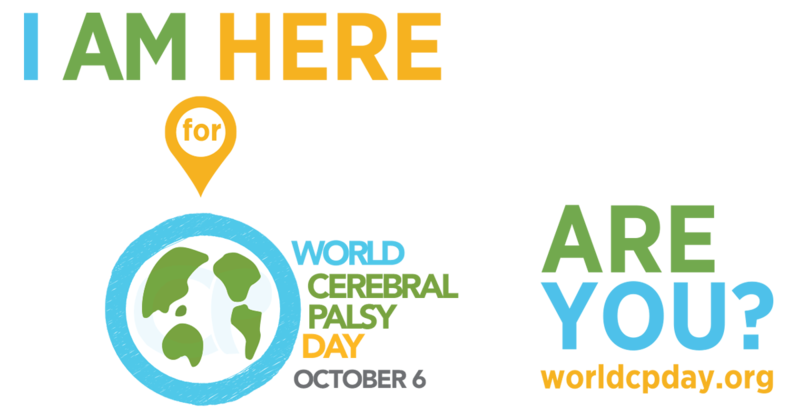 If you are in the Central Region and haven’t attended one of these training days I’d recommend it whether you are an able bodied rider or para. Thank you Emma Douglas for the loan of your lorry to get us to both Vale View and Swallowfields this month. The day out to Swallowfields had an extra bonus as it allowed me to qualify to ride for Central Region at this years Home International at Vale View in April. 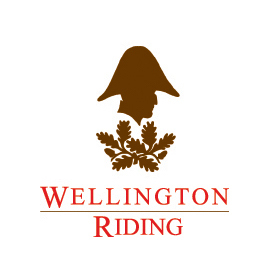 I haven’t ridden at this event before so it will be another new thing to look forward to next month, and I am looking forward to seeing some of my friends and competitors from the Excel and World Class Programmes there. 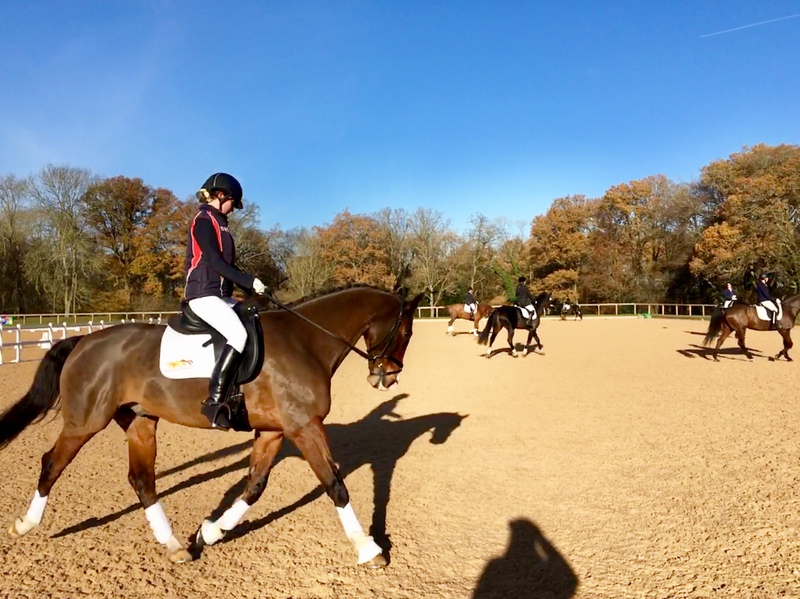 As well as all this I have been training hard, prepping for the Home Internationals next month when I’ll be riding for the Central Region, and also learning the 2017 Team Test which I will be competing soon too. I’ve also been keeping up my gym work with Ian at Fitness4Less, including learning the valuable lesson that if I keep on banging my right leg during spinning classes (even if I have no feeling in it), I will bruise really badly later! I was also scheduled to ride a competition this month locally at Windmill Farm but it was canceled due to a lack of registered competitors. 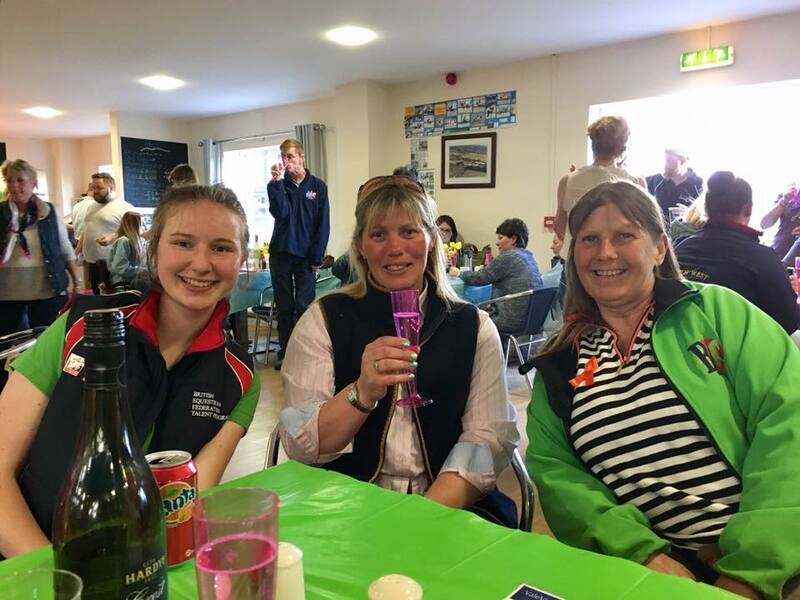 This was a shame as it was to be my the first Summer Qualifier competition, but it was also Mother’s Day and it meant that after a good training session in the morning we had a nice family dinner out instead of a competition. Happy Mother’ Day Mum! 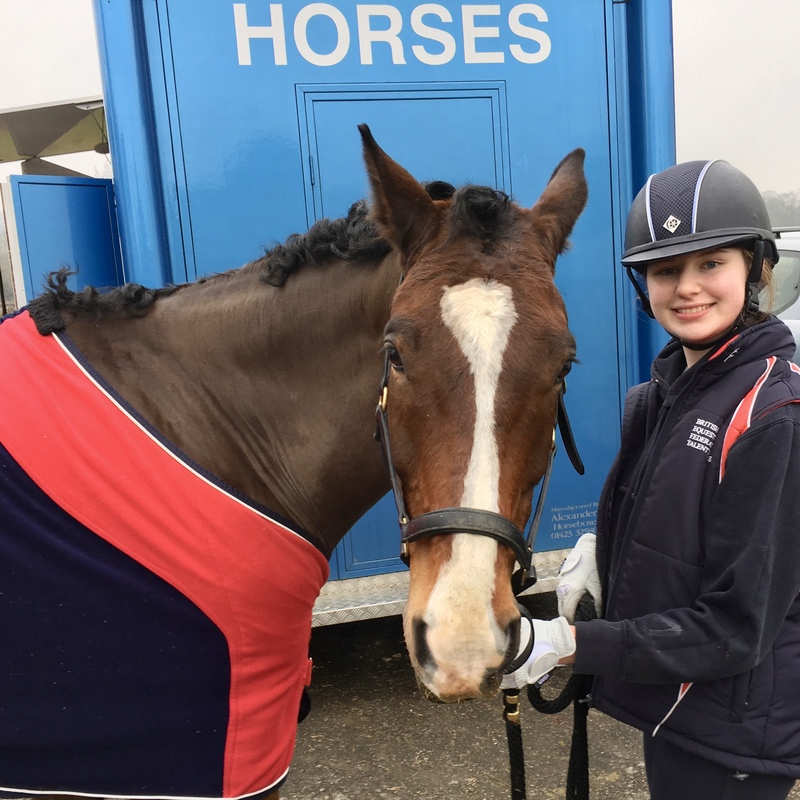 My month ended with a visit to my new SportAid sponsor The Royal Bank of Canada in the City of London, and break from riding for a few days and a geography field trip Dorset – a little reminder of the balance of being a year 10 para dressage rider! The trip into London for the SportsAid event was a bit weird as I had to go in my sport’s kit. For most of the other athletes it meant tracksuits, but for me the only option was competition dress, an interesting choice on the tube. 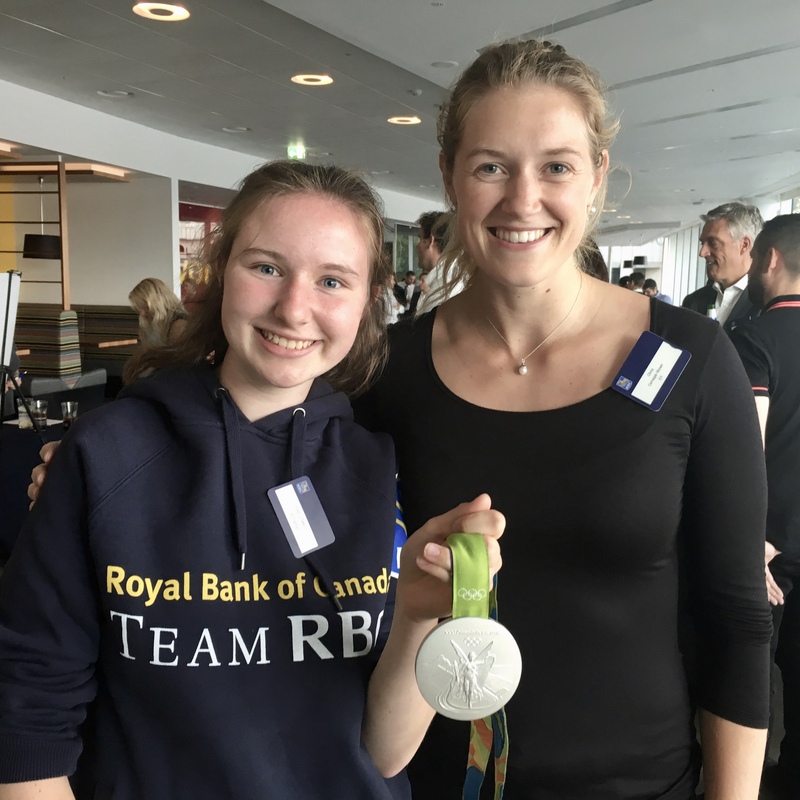 But it was worth it as is was a great event, which included a photoshoot, interview to camera (which I wasn’t quite expecting) and inspiring talks from some of the other athletes and their RBC ‘buddies’. 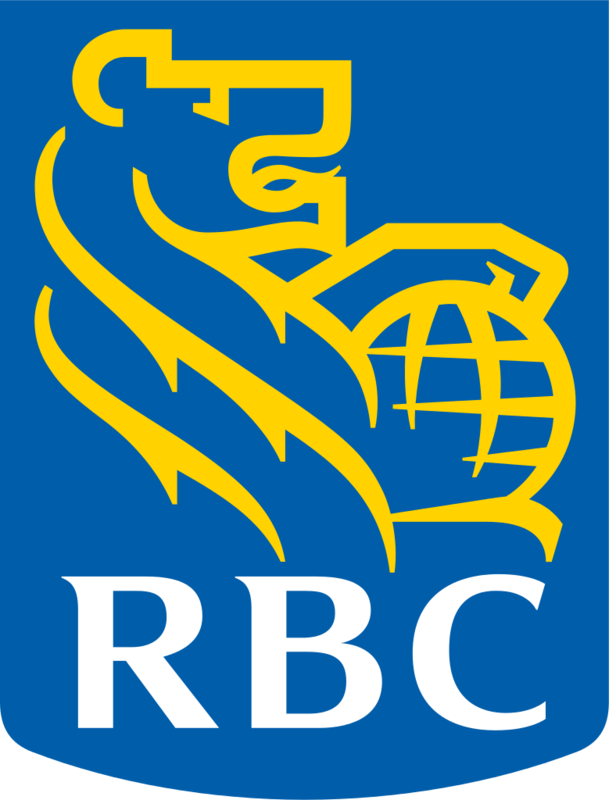 I am really privileged to be one of 50 athletes representing 31 sports that Royal Bank of Canada are sponsoring this year. I was awarded with my sponsorship cheque and a nice RBC sponsors hoodie, my picture is on their Athlete Wall and I’m in their SportsAid booklet, all pretty cool! 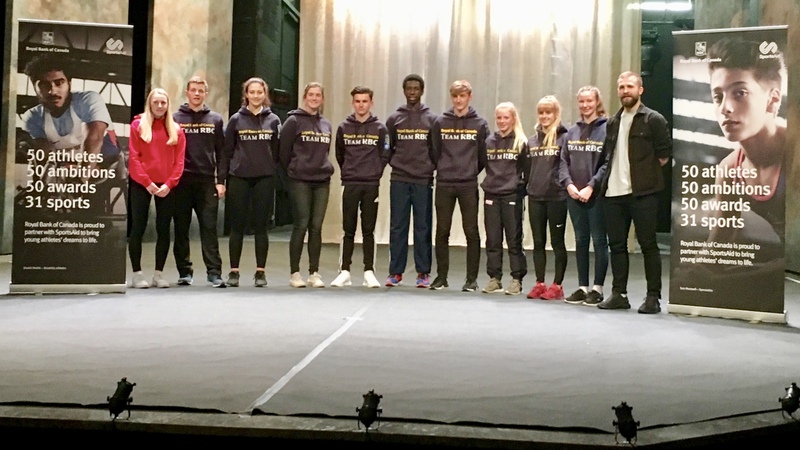 SportsAid is also organising a workshop in London next month at the Old Vic to help sponsored athletes develop personal and media skills which I am really looking forward to. And that’s it for this month, I hope you enjoyed my mad March, April is already well underway as its been another crazy start of the month, but I’ll update you on that next time! Thank you for reading my blog and for continuing to support my journey. Hello everyone and welcome to my February Blog. 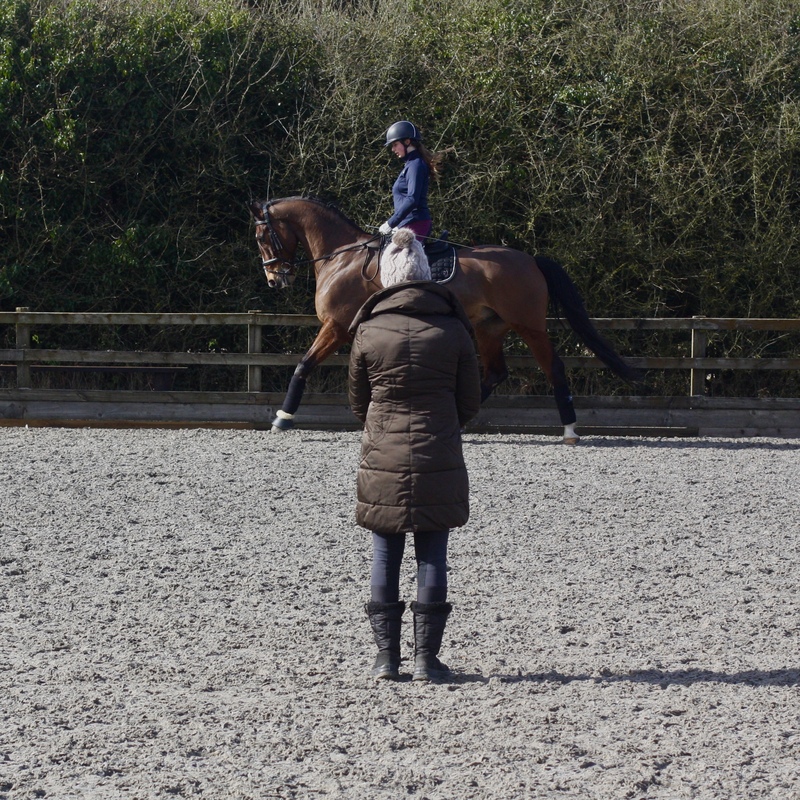 We might be in the middle of the winter but its been a busy month with lots going on, in and out of the saddle. 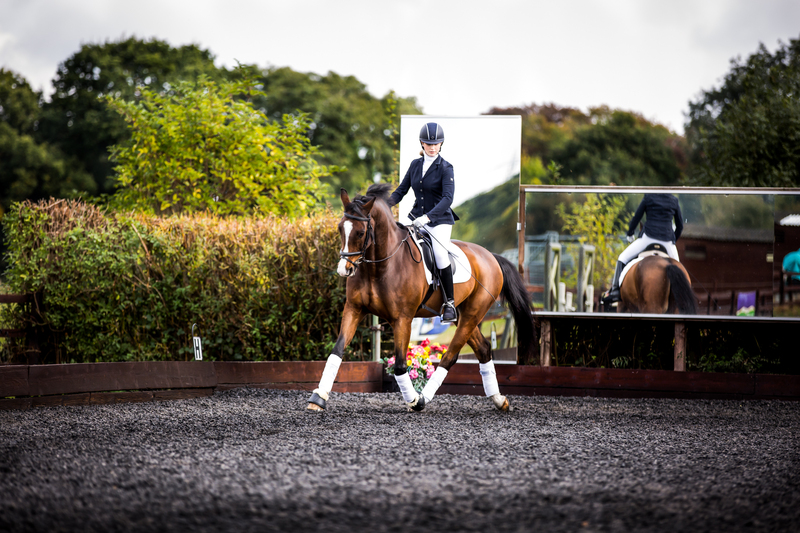 In training this month I have been really focusing on my position and looking up rather than down, as like most riders I have a bit tendency to so, which results my shoulders to come forward which leads to me losing my balance. To improve this, I have been working on bring my chest and hands up and shoulders back a bit and using letters markers in the school to focus forward in the direction I am riding. We have also added a new training aid. My dad gave me a Bluetooth earpiece which when taped into position means I can hear instructions clearer through the wind and weather conditions without a lot of shouting back and forth. It’s a a lot easier to react and take advice on board when someone is speaking in your ear rather than shouting across the school at you ! 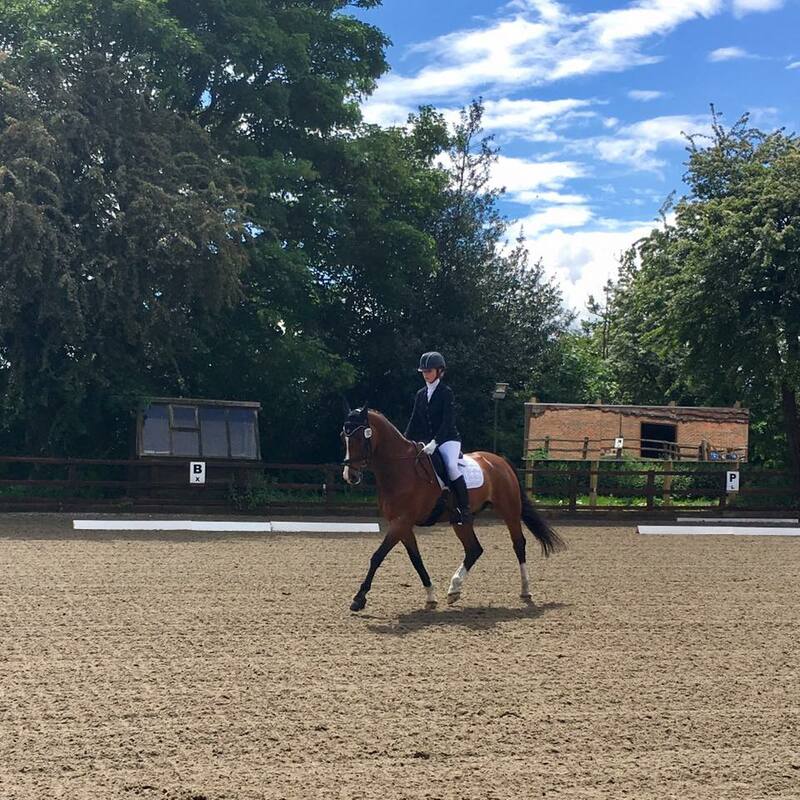 This month I took the new 2017 Novice Test B out with Aslan for the first time, not in a competition but at a British Dressage Central Region Clinic, with judge and coach Sue McMahon at Brookes Farm in Berkshire. 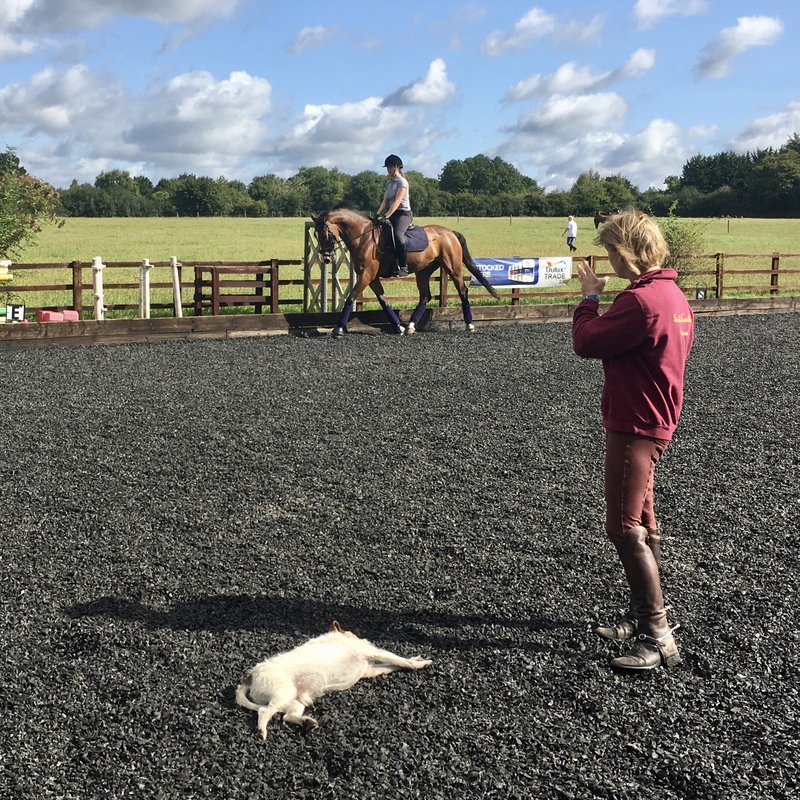 They have a really great indoor barn at Brookes Farm for warm ups, which Aslan really enjoyed and it was probably the best and easiest warm up we have have done yet. 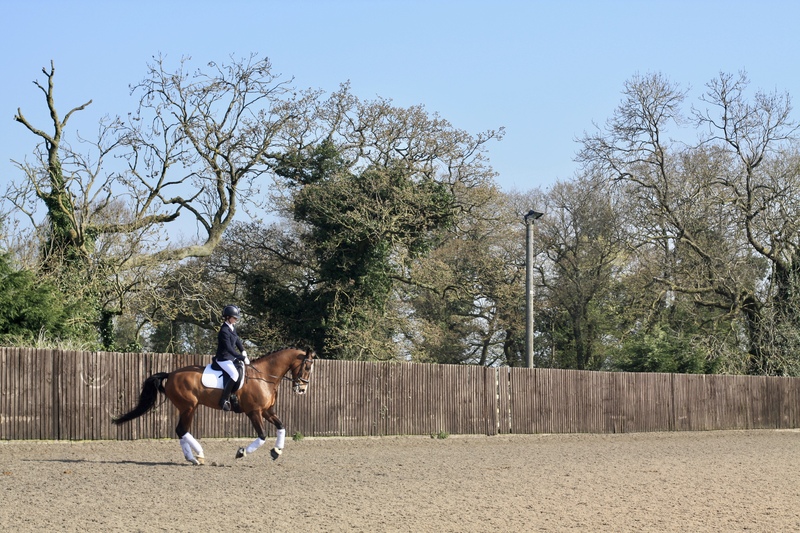 We pretty much went straight into the test ride when we went outside to Sue, as we would do in a competition, and despite a good warm up I struggled to keep his attention a bit, so it wasn’t the best example of what we can do. It was valuable experience for us both and taught me that you’ve got to be on it the whole time, even after a really good warm up. Sue gave us some valuable feedback and put us through our paces for the next hour or so after which things were very much improved. She was really patient and and I found her really easy to work with, so if you get the chance to train with her I’d definitely recommend it. 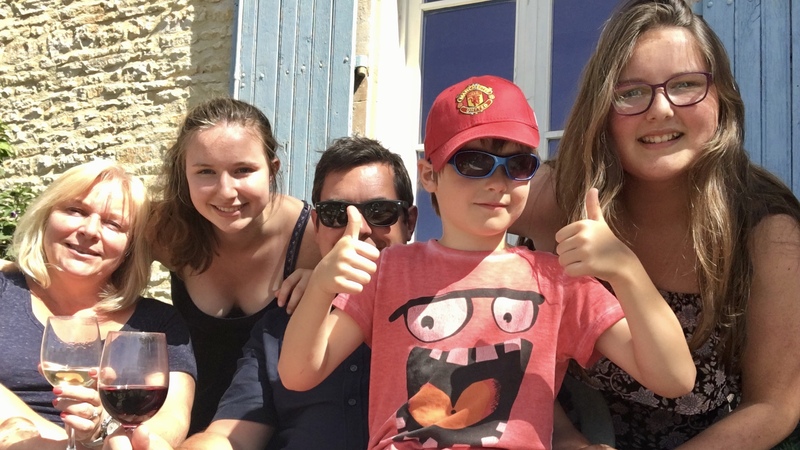 Sue reinforced some of my learning at home with Sacha and it really made me concentrate and refocus on the things we are working on to improve. It also demonstrated that if you really concentrate and work on nailing the basics, the harder things get a lot easier. It was Mum’s birthday that day too, so Happy Birthday Mum and thanks for letting me borrow Dad for the day to be my groom and driver (it was his birthday this month too, and we trained together that day so Happy Birthday Dad too!). The Grade IV 2017 Novice B is a big step up from the old tests but great fun to ride. 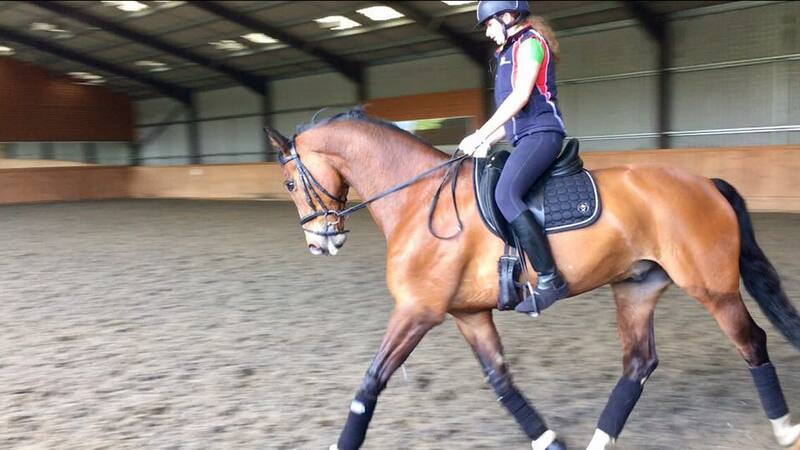 It uses a 60m school which is better for me and Aslan as he is quite a big boy to move around with his big paces. Next week I’ll be working on the new Novice A in squad training. This test uses a 60m school too but the school moves are much closer to the old Novice test that I will be competing at the Winter Nationals for the last time. I really do prefer the 60m tests so I’ll be glad to move on when its done. I’m doing a similar BD Clinic with the Central Region next month so I’ll let you know how that goes too. It was also half term this month and I had a bit of a break from training as I went on a school trip to Berlin. It was a really great trip but a challenging experience too as we visited the camp which was mentally and emotionally draining. Berlin is a very cool place. I saw the Bandenburg Gate which was awesome and I also visited the 1936 Olympic Stadium. There happened to be dressage training going on in the equestrian centre there, and I toughed it out there as long as I could until one of the teachers eventually coaxed me away. You’ve just got to seize every opportunity you can haven’t you! Meanwhile, back at the yard Aslan was busy living it up and enjoying the good life. 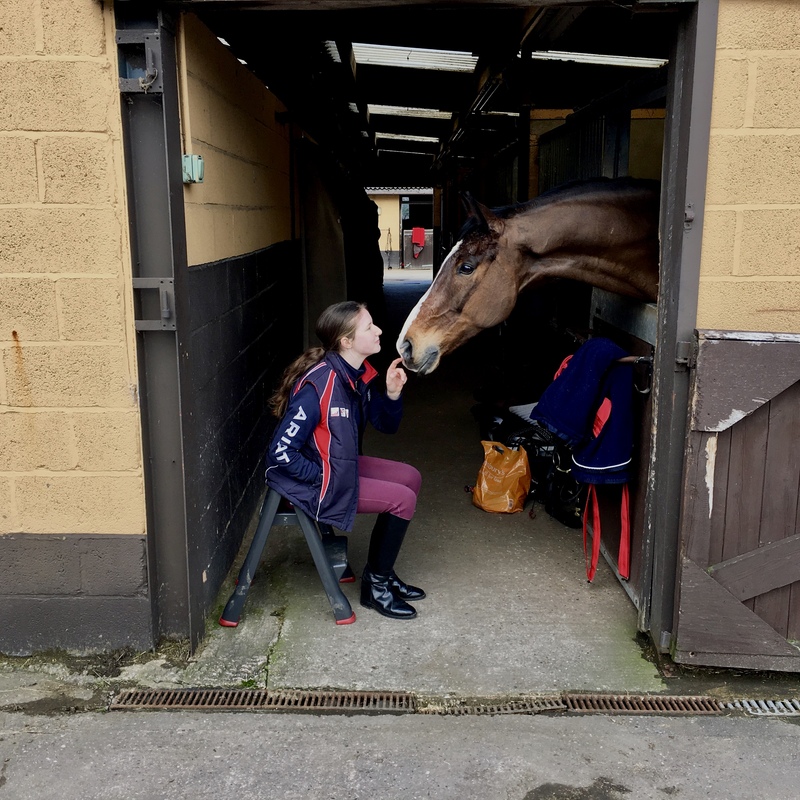 A massage from Equine Physiotherapist Brigit Firth from Anna Johnson & Associates, check up, clean and polish from Equine Dentist David Saw and a pedicure and new dancing shoes from our farrier Oliver Fitkin. My mum was really quite jealous as it sounded like a pretty good day at the spa! 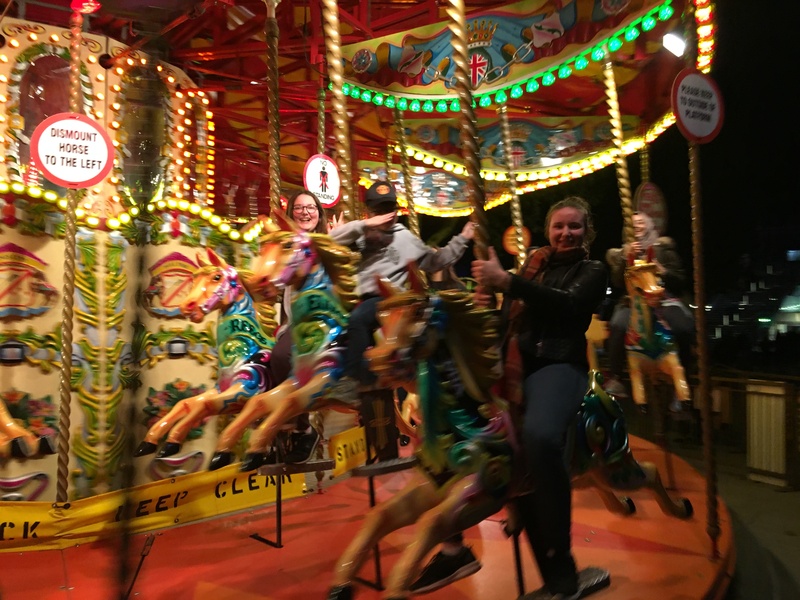 I was pretty tired when I got back from Berlin but didn’t have much time to worry about it, as the next day I was back in the gym at Fitness4Less Chesham for my weekly session with my personal trainer Iain Duncan…. before starting my first job! Well sort of anyway and no, not at the gym! 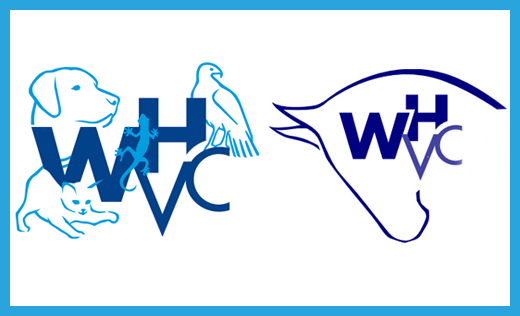 I have been lucky to get a volunteer position at Wendover Heights Veterinary Centre. I met two of their nurses at a careers fair at my school and as a result I applied for a volunteer position which I got. It’s the start of another long journey for me, as when I leave school I really want to study Veterinary Medicine. It’s super hard to get selected so I am going to have to build a portfolio of experience as well as do very well in my GCSEs and A Levels. The experience at Wendover Heights is such a great opportunity for me which I am very grateful for, and all the nurses and vets have made me feel very very welcome and I am loving it. On my very first shift I helped with small animal treatments for a goose, iguana and parrot. 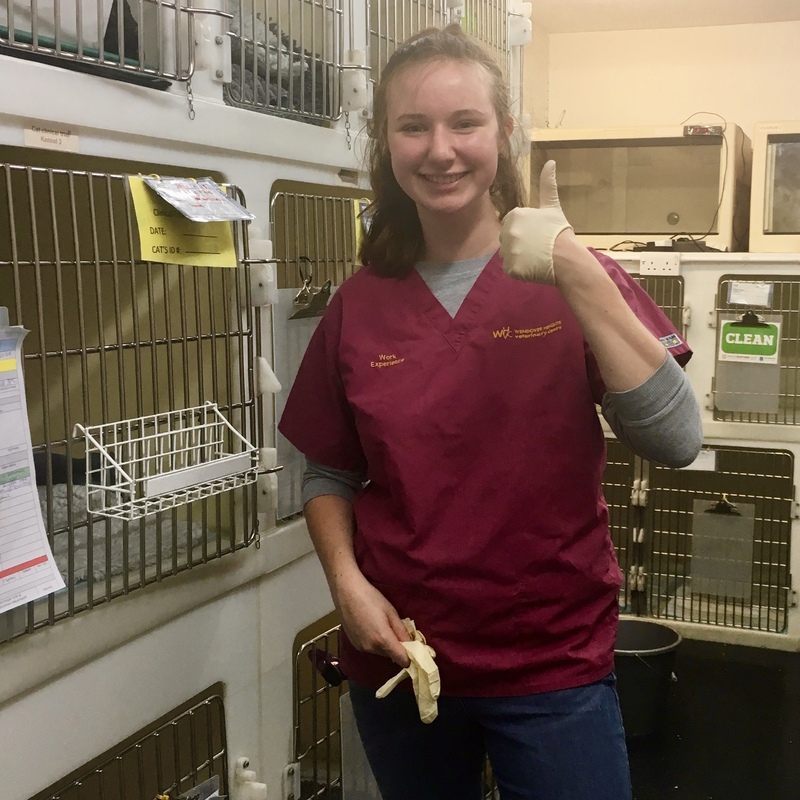 On my second time, there was a chicken – so it’s not all puppies, bunnies and kittens! 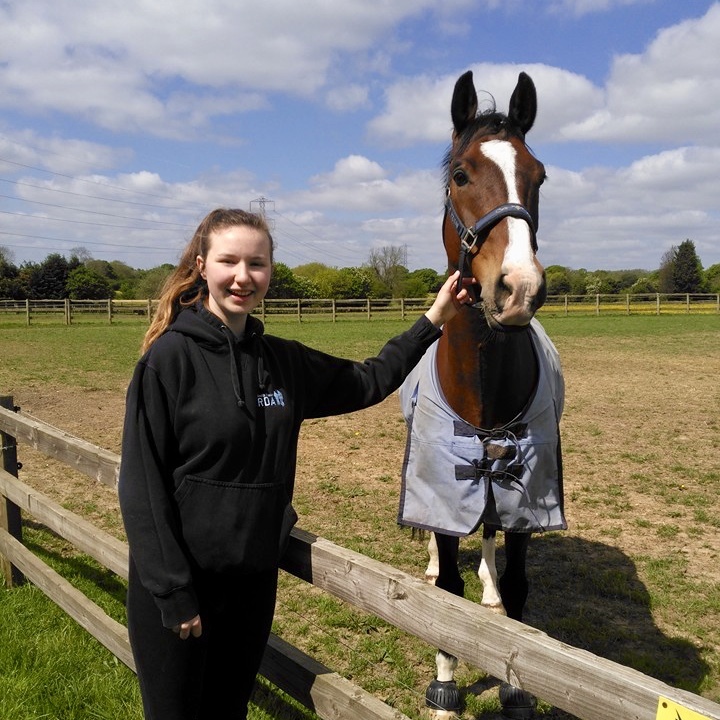 As well as being a small animal centre, they are also a full on equine veterinary centre, which I am hoping to experience soon. It’s an amazing opportunity and I am really proud to be part of the team. 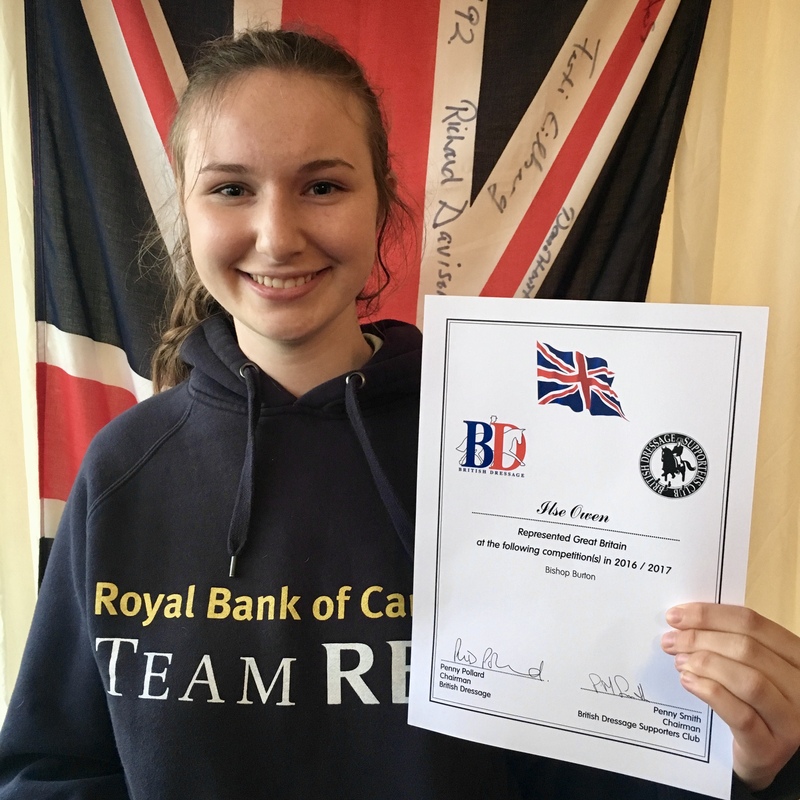 I was also really happy to receive confirmation this m onth that I am to receive a SportsAid Award this year thanks to sponsorship by the Royal Bank of Canada. I knew I had been nominated by my sports governing body, the British Equestrian Federation, but didn’t know what would happen next. It’s amazing to receive the award which will really help with the costs of my training, kit and competitions this year. 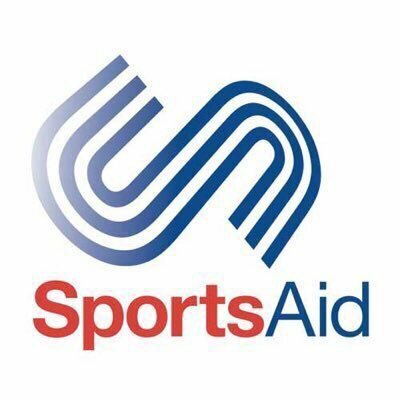 The funding is brilliant but its also really inspiring to think of all the amazing Olympics and Paralympic athletes who have received SportsAid Awards in the past, including Sir Chris Hoy, Ellie Simmonds OBE, Jessica Ennis-Hill CBE, Tom Daley and Dame Sarah Storey. How motivating is that! There is a launch event I get to go to next month at the Royal Bank of Canada offices in London which I am very excited about, without really knowing much about yet! 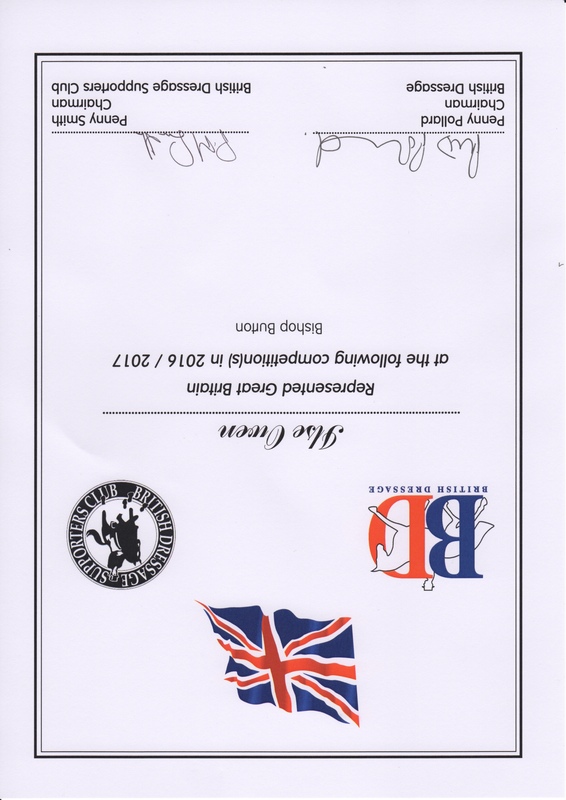 So a big thank you the British Equestrian Federation, SportsAid and Royal Bank of Canada, I am truly grateful. If that was not enough, the month was rounded off perfectly with a surprise post featuring me and Aslan on the Charles Owen Facebook page. They have supported me and provided a fantastic Ayr8 helmet which I use to compete in and we shared the photos a while back. It was a real treat to see them promote me and Aslan, or Ashe as he goes by in competitions. So all together it really was a Fabulous February. That’s it. Thanks for reading my February blog, and to those doing so for the first time, thank you for Joining My Journey. I hope you enjoy the ride.